Today AMD launches its next client PC product, the AMD Ryzen Pro. The AMD Ryzen Pro is not targeted at gamers, as was the original Ryzen. Instead, it is being targeted at the managed business PC market. At STH we have covered various Intel vPro configurations for several generations and around 6 years. 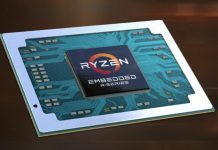 While we are excited to see AMD Ryzen Pro in the market, we are eagerly looking forward to the inevitable next-generation. If you followed our coverage of the AMD Ryzen 7 and Ryzen 5 parts, you will have a good idea regarding what AMD’s new commercial desktop architecture offers. Here is the official SKU list we received at launch. This will include two Ryzen 3 Pro parts which each have 4 cores/ 4 threads. One will notice that the Ryzen Pro series seems to be a parallel subset of the shipping Ryzen consumer CPUs. For example, there is a Ryzen 7 Pro 1700 but no Ryzen 7 1800X. That makes perfect sense. We asked and the AMD Ryzen Pro will support unbuffered ECC RAM assuming the platform vendors enable support. 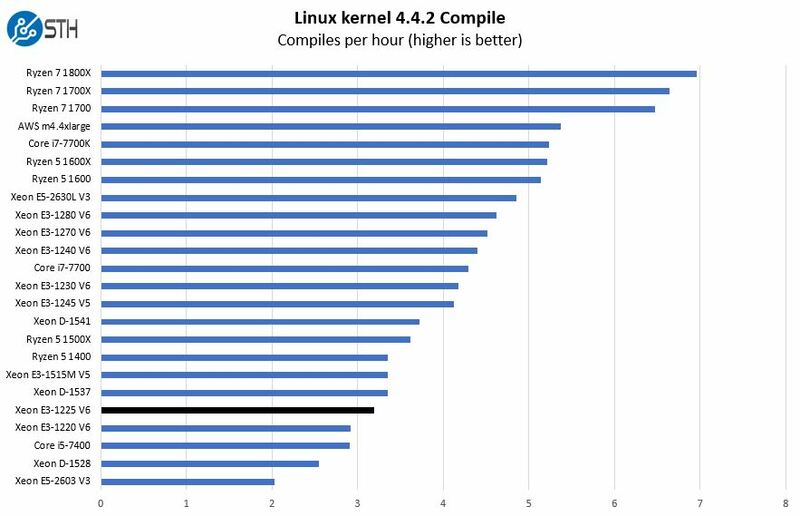 The key here is that AMD is using its raw core and thread count advantage to show why it has more compute resources than its Intel competitor. Also, Intel enables vPro on a select number of SKUs while AMD will reach further down the pricing segmentation to the Ryzen Pro 3/ Core i3 market and still provide management features. Although many businesses will quickly start buying the next generation of CPU, some will require that desktop parts are available longer so they can deploy consistent systems for many quarters. Beyond this, the company is offering DASH manageability. You can read more about DASH standards here. 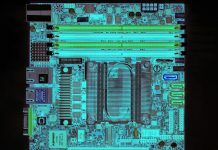 Beyond management, AMD is pushing security, an area that Intel has run into criticism lately on vPro vulnerabilities and patching. The secure boot process has a hardware root of trust to ensure that there is an immutable chain that allows administrators to know that the hardware was not tampered with. While AMD has a solid performing product, key to its success will be building the IT ecosystem so AMD’s platforms can be managed alongside Intel’s. Likewise, AMD will have to convince IT purchasing organizations to buy and support an alternative to the Intel infrastructure they already have. Organizations that have the scale to use these types of CPUs are typically not installing greenfield client systems so adding AMD to the portfolio does mean adding a second platform to the mix, at least for several years. At the AMD Tech Day in Austin Texas (June 2017) press and analysts were presented with benchmark data. There was a very significant difference in the AMD v. Intel “benchmarks” presented. The AMD Ryzen Pro premise used discrete graphics. That has a few implications. Adding a discrete GPU adds additional power consumption but also TDP headroom for the CPU/ GPU combination. That higher TDP headroom, therefore, allows more performance to be stuffed in a machine. Aside from higher operational costs, it also requires that one use an additional expansion slot for Ryzen Pro’s GPU over an integrated solution. Max single threaded performance, Intel will generally be slightly faster. 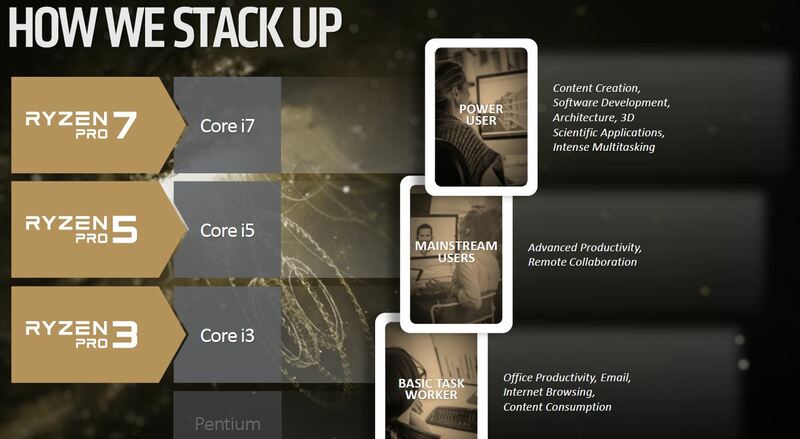 Multi-threaded performance, AMD will generally be faster insofar as it will have more cores and threads. AMD discrete GPU will be faster than Intel integrated GPU. AMD CPU + GPU will use more power than Intel onboard GPUs. While there may be corner cases, that is essentially the high-level assessment of performance. Here is a good example of CPU performance in this segment from our Intel Xeon E3-1225 V6 review. We are convinced that the reason AMD is pushing CPU + GPU is that the company has those products today. It takes little imagination to see that this is going to end up in an APU configuration with Ryzen CPU cores and Vega GPU compute onboard in its next iteration. In the business desktop market, a single package with CPU and GPU combined is attractive from a cost and form factor standpoint. Having the GPU onboard also allows for a system that is easier to manage remotely. That is also a major driver of the AMD acquisition of ATI Technologies and why its competitor Intel has successfully delivered on that vision in the corporate desktop market. A major benefit to AMD’s announcement is that it will force ecosystem changes. Companies like Microsoft, Symantec and others will tool for AMD’s alternative to vPro. As a result, Intel will need to double-down efforts in this space as there is finally significant direct competition. Intel management engines have been targeted in specific malware attacks recently so we do expect organizations to look at diversifying to alternatives. I think you are better off, in most cases, getting EPYC single socket SKUs. More complex motherboards that will be more expensive but the platform is much better. 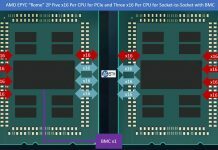 Epyc sounds like it would be too much overkill and too expensive for that type of customer. You really need quad memory channels and 128 PCIe lanes for a web server?